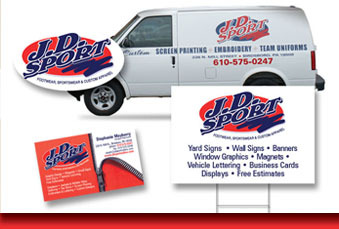 Our in-house small sign division offers products and services such as; coroplast signs, wall signs, banners, window graphics, vehicle lettering, magnetics, business cards, promotional products, displays and much more. The one stop shop for all your signage needs! Ask about our sign package specials!